Love is free, right? Not according to Bride To Be magazine. Their annual survey has found that the average cost of a wedding in Australia is now over $54,000, and nearly half of all bridal couples go into debt to pay for their big day. 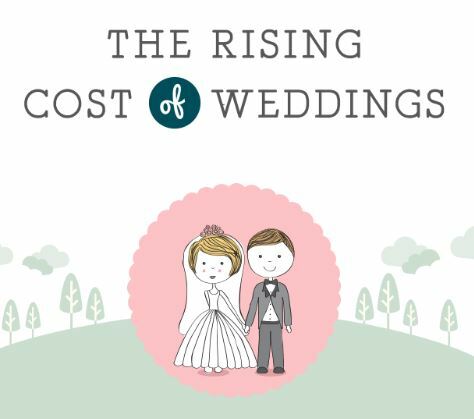 Find out where all that matrimonial money is going and see how your wedding budget compares. The wedding industry in Australia is worth a whopping $6.6 billion a year. So, what is all that money being spent on? The reception, honeymoon and rings continue to represent the largest, single expenses, but bridal couples are finding a myriad of other ways to spend money. There is, for example, a growing trend for hens and bucks to holiday with their respective friends instead of holding a traditional party. Bonding trips were especially popular among surveyed bridegrooms who, on average, spent over $1,800 celebrating their final days of single-dom. The surveyed brides quickly caught up in the spending department with wedding day hair and makeup costing more than $1,500 on average. This figure does not include pre-wedding health and beauty considerations, such as gym membership, personal fitness training, weight loss programs and skin care. To capture memories of the day, videography is becoming increasingly popular with couples spending nearly $5,000 on average for professional photographic services. Wedding presents: how much should you spend?